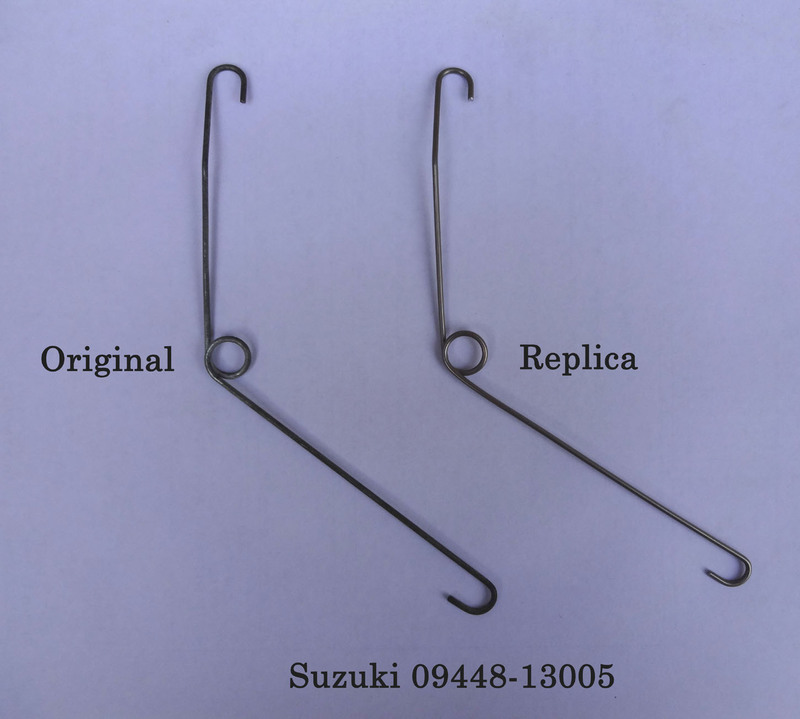 I wanted a spare for my own bike, but the part (09448-13005) is no longer available from Suzuki. I found a few on Ebay from USA at reasonable prices, but the postage costs were astronomical. There is one on Ebay at the moment - A$11 for the spring and A$70 for postage . I approached a local spring maker and he agreed to copy my original using stainless spring steel. However, his minimum charge gave me more springs than I could possibly use. Therefore, I have a few spares available. The first photo shows the size of the original spring, while the second photo shows the original and one of the replicas side-by-side. As these are small, I presume they could be sent in a standard envelope for the cost of a normal letter. If this proves to be the case, I will not charge any extra for postage within Australia. Postage to anywhere outside Australia will be at cost. 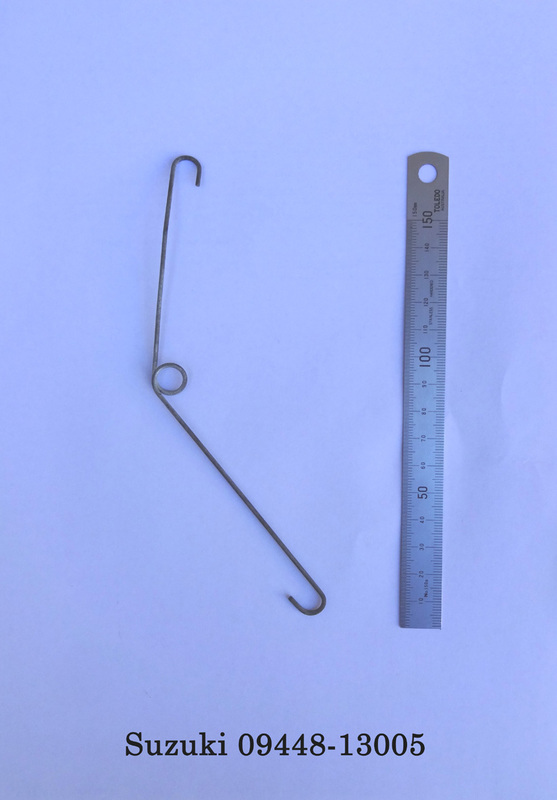 The price for one replica spring is A$8. Inspection and collection welcome if you're in Sydney (located Inner West). Payment by cash or by PayPal (if the buyer pays the charges), alternatively COD in Australia. Any questions, please ask. Please register your interest by replying to this post, then contact me by PM. I can't imagine the demand for these will be huge, but I know there are still some PE250Bs out there... These springs may also suit Australian C and/or N models if they were equipped with a brake light (maybe also PE175C or N...? ).